One of the GamesWePlay a lot. 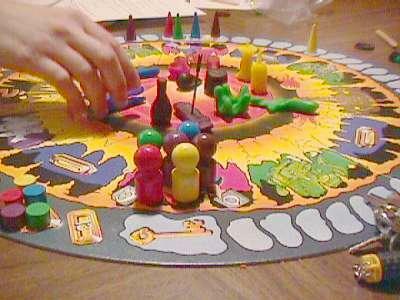 Pictionary-like game in which you make and try to guess sculptures made of modelling clay. Don't make your sculptures too easy, and don't make them too hard; you want just the right number of people to guess -- too many correct guesses are just as bad as too few.